SF dancer’s Leo Landa and Alona Gorer. 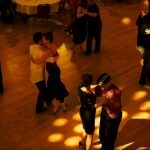 Let’s face it, Argentine Tango is not an easy dance to learn. In the beginning it can be very frustrating. It takes time and diligence to become competent and a strong ego to deal with rejection. The better dancer you become, more people will seek you out to dance with you. You will also enjoy yourself more as your skill level increases. 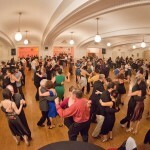 Not everyone goes into Tango, or any other dance for that matter, wanting to be the best dancer. Perhaps you just want to have fun, get out of the house or meet people. And that is totally understandable. It is still important to work at becoming the best dancer you can be. 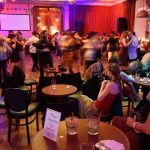 The better your dance level, the more you will feel good about yourself and be able to enter any milonga with confidence and a smile. Find a good instructor and take regular, consistent lessons. Take group classes to learn how to lead and follow different people. Take private lessons to receive quality feedback and improve your technique. If you are a visual learner, watch videos of professional dancers. You need practice by yourself and with a partner. Practice by yourself to work on your footwork, your posture and your balance. Looking at your posture in the mirror can help a lot. Practice with a partner to make sure you are leading and/or following correctly. Best of all, find someone to take lesson with you, and then soon after the class practice what you learned. Or gather with a small group of dancers and practice together. 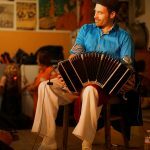 Listening to Tango music over and over again will help you to understand the phrasing, improve your musicality and establish a deeper connection to the dance. Don’t know what music is best to have in your collection? 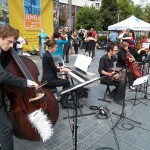 A list of the top tango orchestras can be found here. There is no substitute for time spent on the dance floor. The best dancers dance socially and not just at classes. 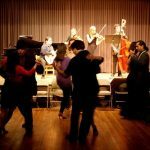 Tango is a social dance and the more you dance with different people at different skill levels, the better dancer you become. In order to be good at anything you need to put in the time. And if you want to be good at Tango, you need to put in the time on the dance floor. Above: Two very talented dancers who have worked practiced diligently: Javier Rodriguez and Geraldine Rojas dancing to Poema. So you’ve taken a few lessons, and you feel like you’ve gotten the hang of this tango thing. Dancing comes easy to you and you know you have good rhythm. When you go to the milongas, you dance with some of the best dancers. Why take more lessons? 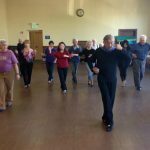 In my over 20+ years of social dancing, I’ve seen a lot of people learn to dance. Some people just pick it up a lot quicker than others. But these same people will often reach a plateau quickly and never get any better. What I admire most, is seeing someone who is not a natural dancer, for whom the rhythm and the movements are difficult, work really hard to become good. This person can become a great dancer by making an extra effort to improve, and putting in hours and hours of practice. So imagine what can happen if you are a natural dancer AND work really hard. The most successful and talented people in the world have always worked hard to develop their natural talents. Take for example, Mozart, Michelangelo, Einstein or Michael Jordan. So if dancing does come naturally easy to you, perhaps this is even more reason to develop this talent, through lessons and practice. And if dancing does not come easy to you, there is good news. With diligence and desire you too can become amazing. I’ve been dancing for years and I’m now a good dancer. Okay, so now you are a good dancer. So now what? Keep learning!!! 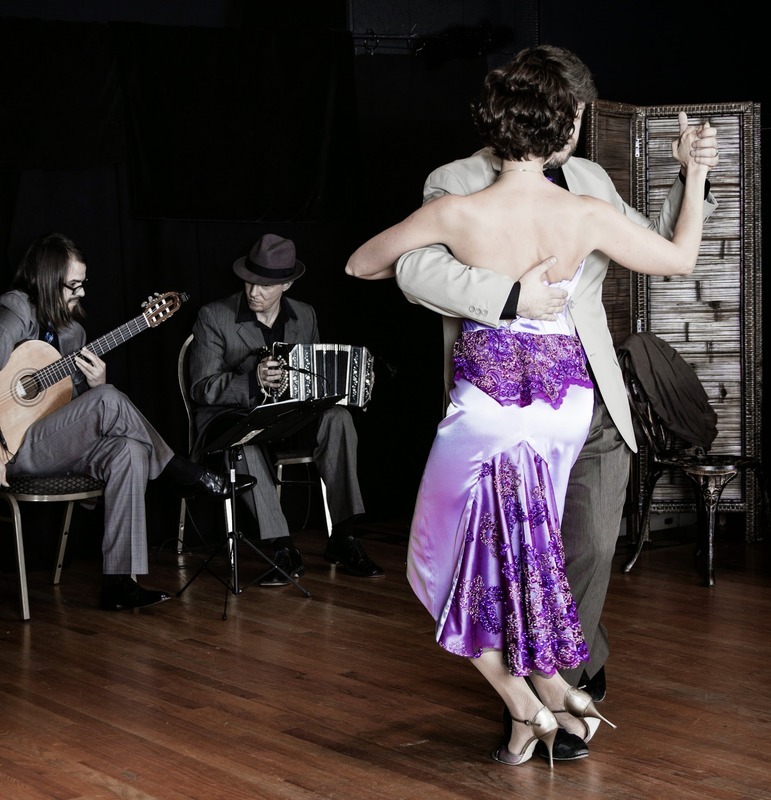 One of the most beautiful and delightful things about Tango, is that there is always more to learn. You are never good enough. When you think you’ve mastered all of the most complicated steps, then it’s time to keep learning. 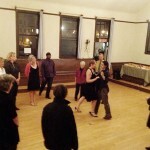 Tango, along with other social dances, continues to evolve. It’s important to keep learning and dancing. 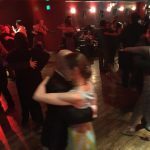 Living here in the Bay Area, we are very lucky to have a multitude of talented Tango instructors. Read about them on the Instructors page, then go out and take some lessons!